As I post I am winging my way home from a profound pilgrimage to Israel and Palestine, most of my fellow pilgrims having already arrived in Seattle. I came down with bronchitis accompanied by a high fever as we arrived in Jerusalem. With the beloved care of Mother Sara, Heidi, a local doctor, and the prayers of my fellow pilgrims, I recovered well enough to rejoin activities after spending almost two days in bed. My room in Jerusalem looked out at the walls of the Old City near Jaffa Gate. The first afternoon I was in bed a great wind blew in Jerusalem. In fact the window in my room blew open several times. Each time, I latched it as best I could and in late afternoon the wind subsided. The winds picked up again sometime after 2 am as I tried to sleep, the window blowing open repeatedly. The situation required action if I were to get much needed sleep. 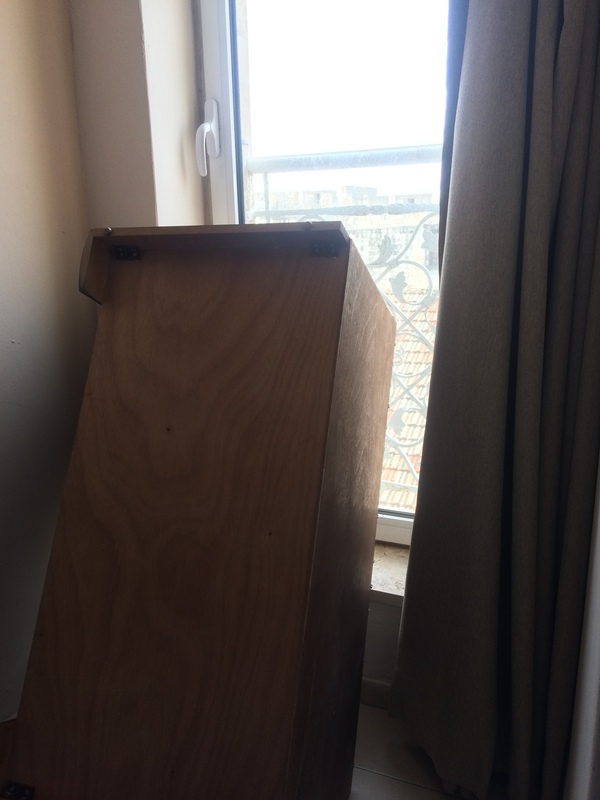 So in the night I took to moving the wooden luggage stand to the window and tipping it on its side against the window. I was able to get much needed sleep with the window now firmly closed. In fact it was lunch later that day I rejoined the group with improved health and strength. Before leaving the room the first time, I had replaced the luggage stand. The window remained latched until I was packing the final morning to leave. One more time the window swung open in the wind, the curtain fluttering in the direct breeze. And that’s when it occurred to me — how much the wind blowing into the room might resemble the Holy Spirit. It was dramatic, healing, and refreshing. As we return home may we all find the Spirit in both loud and quiet ways filling our lives.